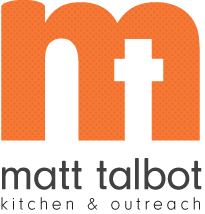 Matt Talbot Kitchen & Outreach (MTKO) is pleased to announce the 2016 Compassion in Action Award recipients who will be honored on March 31, 2016 at MTKO’s Feeding the Soul of the City dinner and fundraising event at Nebraska Innovation Campus. This is the eleventh anniversary of the annual event. The Individual Compassion in Action Award will be given to Jim & Mary Love who have faithfully served as volunteers at Matt Talbot for more than 22 years. They were the first team captains from St. Joseph Catholic Church which now has three hunger relief teams. In addition to their role as hunger relief volunteers, they also support emergency outreach assistance for individuals and families in crisis by working with our Outreach Team. They give of their time, talent and treasure. But they also give of their hearts showing great care and compassion for those struggle. The Collaboration Compassion in Action Award will be presented to Beatty Brasch and the Center for People in Need for their commitment to helping the most underserved populations in our community escape poverty. Under Beatty’s leadership, the Center for People in Need takes a multifaceted approach to serving the poor by addressing basic needs such as food, shelter, and clothing, helping clients train for and obtain employment, and advocating for policy change at the local and federal level that will benefit low-income people. Matt Talbot is blessed to partner with Beatty and the Center for People in Need in our shared mission of service to those living in poverty. Feeding the Soul of the City starts at 5:30 pm with a social hour and silent auction. The dinner and program will begin at 6:30. “We are so excited to host this special dinner and program each year. It is a wonderful celebration of compassion, community and collaboration,” said Susanne Blue, Executive Director.